The idea that an SUV can drive like a car is still a relatively new concept. The first SUVs were made for off-road purposes with a lot of torque and very few trimmings. Now, the game has changed. 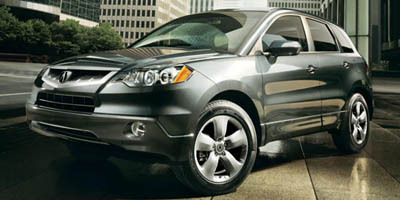 The 2008 Acura RDX is a shining example of this budding class of ultra-sporty, crossover SUVs. A turbo boost - Acura’s first - and 240 horsepower are smoothly coupled to provide a powerful ride. The interior is plush and refined, with a hint of sportiness that extends to the exterior styling. In the RDX, transporting four passengers is as easy as winding around mountain roads. It is a merging of two different worlds, and a successful one at that. If we could simply write “turbochargerâ€ here, we would. This beast of an engine makes the drive aggressive and feisty, and in an SUV too. Its five-star crash test ratings are a testament to the car’s safety, leaving you worry-free behind the wheel. Though it’s a compact SUV, we’d like to have climate controls in for the rear. Also, the rear seats do fold down, but it’s awkward to do so and the heavy seats don’t fold entirely flat. The RDX proves that looks can be deceiving. Within a few moments of stepping on the gas you completely forget you’re in an SUV and can only think about tearing around the next approaching corner. The turbocharger, Acura’s first, is a marvel with hardly any turbo lag and almost instant pickup, and the 2.3-liter engine dispenses a brawny thrust. Once you allow yourself to move beyond the turbocharged power of the car, you’ll notice the pinpoint handling and sound transmission. Shift into sport mode and the wheel movements will be even sharper and the engine will begin to snarl menacingly – this is when the RDX feels like there should be a Type R badge on the rear deck lid. The all-wheel drive RDX has a 2.3-liter, 4-cylinder engine churning out 240 horsepower and 260 lb-ft of torque. The five-speed automatic transmission allows you to switch to manual mode and control the gears with steering wheel mounted paddle shifters. Acura’s Super Handling All-Wheel Drive system dedicates up to 100% of power to the wheel that needs it most. 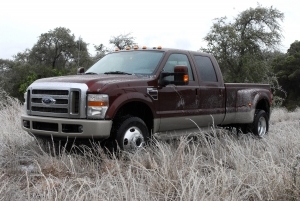 Generally, all-wheel drive systems distribute torque between the front and back wheels. The Acura system is the only one to spread the power between the left and right rear wheels as well, giving the RDX lateral traction when needed. Acura has packed a number of standard features into this compact SUV – better for you, the consumer. XM satellite radio and an auxiliary input jack for mp3 players will take care of any audio needs, while the heated, leather sport seats, telescoping steering wheel and a plethora of safety features make the driver’s seat all the more comfortable. The RDX’s $3,500 technology package supplies some highly recommended features, like a navigational system with voice-recognition and real-time traffic, a large 6.5-inch screen with easy-to-use functionality and an ELS Premium Sound System with 410-watts and 10 speakers that will blow you away with its crisp sound. In this crossover you’ll find the latest in safety features from the advanced all-wheel drive system to Brake Assist. This technology utilizes sensors to discern when emergency braking is taking place and then reacts by applying the maximum brake pressure and engaging the ABS. Acura also has an optional rearview camera, helping you avoid items that may be too low to see out of your rearview mirror, like a small child or a Lotus Elise. Crossovers, while less thirsty than larger SUVs, still take a hit on fuel consumption. Standard all-wheel drive further reduces the numbers. The RDX achieves 17 mpg in the city and 22 mpg on the highway – similar to competitors like the BMW X3. Its ULEV-II emissions rating means the RDX is, on average, cleaner than 50% of the new vehicles on the road. Strips of brushed metal streak through the interior, lining the front dash and center console, which has a seemingly bottomless amount of space. The instrument panel looks perfectly designed until your eyes settle on the compacted audio controls, inexplicably squeezed in at the bottom of the panel and partially blocked by the shifter. While the styling isn’t a huge departure from other vehicles in its class, the Acura holds its own with a sleek modern look and spoiler-adorned rear-end. We were hoping for a stronger head-on fascia – the front grill is on the wimpy side, but the 18-inch wheels and bold fender flares make up for it. Pricing for the Acura RDX starts at a base $33,195 and jumps to $36,695 with the optional technology package – a well-priced group of features. Other performance-oriented compact SUVs include the BMW X3 and the Land Rover LR2, but both are priced higher than the RDX and don’t necessarily have many more features. Suitable for families, you’ll feel contented driving around cities in this small SUV. But be warned, you won’t be happy going 30 mph for long – this is a car that excels in whipping through winding roads even with four passengers and a bugaboo or two nestled comfortably in the cabin.